There is general agreement that America’s landscapes, certainly its wildlands, are out of whack with their fires. Wildfires are bigger, hotter, more savage and more expensive than in the past. There is wide agreement, too, that America’s deeper fire problem is not that malignant megafires are crashing into our communities. Instead, it’s that we’ve lost the older benign versions of fire that once washed over and benefited our ecosystems. Surely, the thinking goes, restoring fire’s former regimes would quell the outbursts and bolster forests’ ecological resilience to multiple threats. But active restoration has proved trickier, more controversial, and more limited than advocates assumed. It works, but not everywhere, and not everyone wants it. 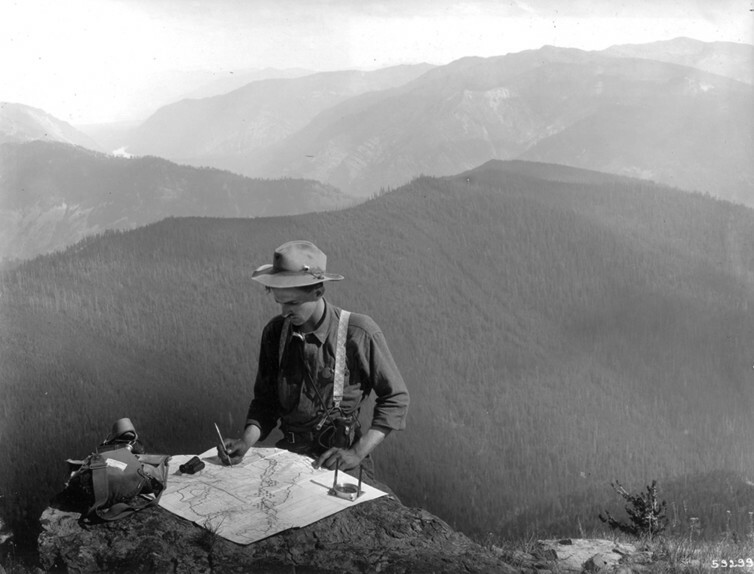 For 50 years after the Great Fires of 1910 traumatized the U.S. Forest Service, the country committed to a program of what we might call fire resistance. It sought both to quit lighting fires and to extinguish every fire that did occur before it could grow large and damaging. Then in the 1960s, the fire community reconsidered because the project was self-defeating and had suppressed good fires as well as bad ones. Many biotas were adapted to particular kinds of fires and suffered when those fires vanished or changed character. By 1978 the federal agencies adopted a program to restore the fire regimes that had prevailed before the ax and hoof of settlement, and the onset of organized fire suppression, had confirmed our new disorder. The project embodied not only the prevailing science but a kind of atonement for the wreckage done. Fire officers would light fires under prescriptions and they would allow natural fires more room to roam. Following devastating fires in 1910, the U.S. Forest Service put a priority on putting fires out, but later changed policies. Here a ranger locates a distant fire in Montana in 1909. On restoration as a guiding principle, consensus exists. On its practice, however, confusion and confrontation abound. Why? Basically, we can’t agree on what those prior conditions were, or by what methods we might recreate them, or for some observers whether the past is in truth prologue to the future. Consider how varied some of the best studied landscapes are. Tallgrass prairie requires fire. Probably most tallgrass environments burned every three years or so before European settlement. Longleaf pine, once pervasive on the southeastern coastal plains, burned like a savanna, its wiregrass understory carrying flames among the woods nearly annually. 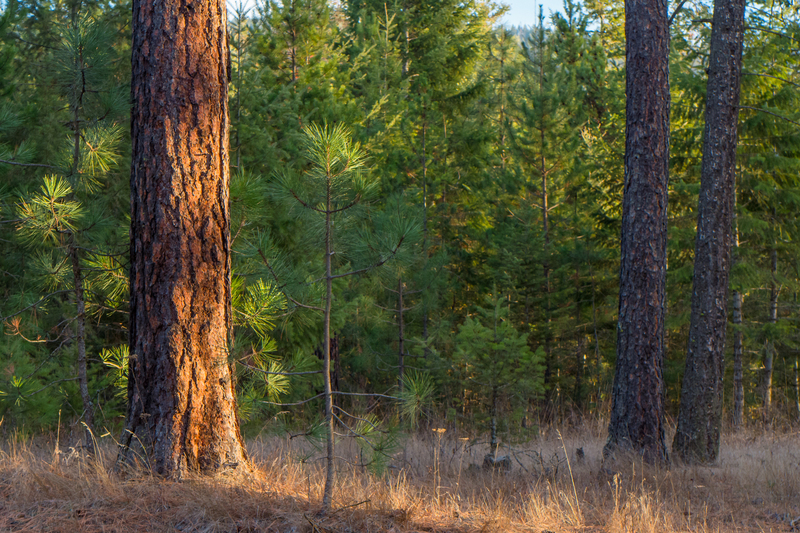 Its western counterpart, ponderosa pine, also behaved like a grassland with big trees clumped throughout it. Likely it burned every 3-8 years. These are all surface fires that occasionally torched pockets of woody thickets or trees during drought and high wind. Lodgepole pine, by contrast, burns in eruptive patches, killing the existing stand and preparing for a mass reseeding in the ash. The patches burned perhaps every 80-120 years. And then there is California chaparral. Forty years ago the best science suggested it burned weakly until the primary species reached 20-25 years, and then more fiercely with each passing year. No fuel like an old fuel. Advocates of restoration argued that more good fire would reduce bad fire and improve ecosystem health. Our understanding of past fire patterns would help write the necessary guidelines. But some prescribed fires escape control (probably a comparable fraction to those that escape initial suppression). Smoke drifts with the wind. Some sites need preburn preparations. And there are always dissenters. All this costs not only money but social and political capital. Most tallgrass preserves, for instance, are tiny; there is always a butterfly or beetle, with human partisans for its cause, that thrives best in a more varied mixture of fire. This complicates the social politics of actually putting fire on the ground. The idea that forests need to burn sometimes is well accepted but each ecosystem is different are there are often opponents to prescribed fires. Longleaf – the “forest that fire made” – displays its greatest biodiversity by having a range of fires across seasons and years. Overall, it’s probably impossible to overburn it, but practice requires guidelines, and that demands social consensus beyond the belief that fire belongs. Ponderosa forests have generally become overgrown with understories of young trees that can carry fire from the surface to the canopy – a revived fire but not one that allows the ponderosa to survive. This has led to arguments for thinning, a kind of woody weeding, to restore the former structure of the forest, so that it can sustain the right kind of fire. But removing chainsaws was a major triumph of many environmental groups, who do not wish to see them return as stealth silviculture, and there are outlier researchers who insist that severe fires have always been a part of the scene. Mainstream scientists disagree. Lodgepole patches have grown more extensive with fire’s removal, which not only feeds larger fires but has encouraged beetle invasions, which further unhinge the structure of fuels and complicate putting fire back in. Since controlled crown fires are at best tricky, and prescribed commercial logging (rather than thinning) is generally unwanted, the options for deliberate restoration are few. And the chaparral? There are researchers who insist that wind, not fuel, is the driving factor, and argue that fuel mitigation measures, including prescribed fire, will only invite invasive species, destroy native ones, and not make a whit of difference to fire size and intensity. Besides, they say, the strategic issue is urban sprawl, and the fire concern is overall ecological integrity and resilience, not fuel. For several decades restoration has been an informing theme for America’s fire community. It can point to many successes. Florida now burns over two million acres a year under prescription, and the Florida model has propagated throughout the region. A template for southwestern ponderosa pine, loosely known as the Flagstaff model for the site of its demonstration plots, has disseminated throughout many montane forests in the West. But the Florida model does not work in the chaparral shrublands of Southern California. The Flagstaff model does not work in the pinyon-juniper complex of the eastern Great Basin or the lodgepole of the west-side central Rockies. Each biota needs its own guidelines. Active restoration programs cost money. And prescribed burning becomes more encumbered with restrictions and caveats each year. 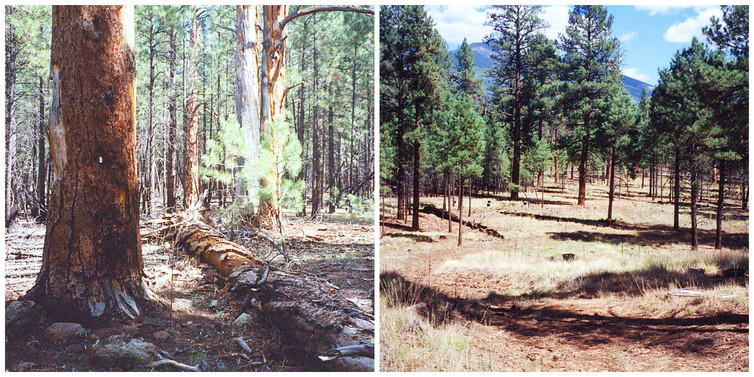 The Flagstaff model: before (left) and after (right) treatments by thinning and burning in ponderosa pine. By almost all measures, the treated plot is ecologically healthier and more resilient to fire. The photos are not of the identical scene but representative examples from the same site. Plenty of partisans would prefer we let nature sort out the imbalances, not pretend, with costly hubris, that we know enough or are skilled enough to do the right thing. People caused the problem; removing them altogether is the surest means to set matters right. Less active management, not more, is the way to reconcile past conditions with future wishes. And for those obsessed with the no-analog future promised by that constellation of global changes lumped under the label Anthropocene, restoration is beside the point. The future will be radically different. We need to prepare for it, not waste scarce resources on recreating a prelapsarian past. In brief, fire regimes are varied, science frequently conflicted, and restoration intellectually compromised by irony, which adds no cultural value, since we can never truly go back. The responses to these challenges will vary – as they should. In the American West, however, the cumulative burdens are pushing fire officers away from the former restoration ideal into something akin to a resilience model. They know they need more fire. Their experience tells them they won’t get it waiting for Congress or navigating, project by project, the reviews required by the National Environmental Policy Act. Instead of attacking the fire problem head on, they are trying to flank it. Of course there are some fires that bolt away from the moment of ignition, or threaten communities, municipal watersheds, or critical biotic assets and must be fought from the first kindling. But many other fires allow for varied responses. Backing off and burning out – not letting fires roam freely but loose-herding them with selective firefights and burnouts along their perimeter – is a way to get some good fire on the ground. It’s not restoration as the old order understood it. It’s not a case of science informing and management applying, of rationally getting ahead of the problem. They accept they won’t get ahead of the problem: they have to ride it out. Some patches will burn too severely; some patches won’t burn at all. In a way it’s a pragmatic solution, replacing a goal that we can’t agree on, with a process – returned fire – that we can. The hand is solving what the head cannot. It now appears that while restoration may be a permanent principle, one widely adopted, it is not a transcendent one. It only has meaning in particular places and practices and, we might add, times. It has to compete with other values like wilderness. What is replacing it is a kind of intellectual and institutional mashup, the paradox of a managed wildfire. It’s a way to improve control by loosening our standards of control. This is not what the new era imagined as it sought to tame the bright-burning tiger, but it offers us a means to ride that tiger into the future.